From Liberty Hardware, the Notched Pull adds a sleek pinstripe detail to a soft casual design that will provide a relaxed modern style to cabinetry or furniture. Crafted from die-cast zinc for long lasting quality and durability. Installation hardware is included and multiple finishes are available. The Arched Pull from Liberty offers a softly modern style statement. The sleek design is ideal for modern décor while the soften edges also accent more casual styles. Ideal for both kitchens and bathrooms. Add the perfect decorative accent to your traditional styled kitchen or bathroom cabinetry with the Liberty 3 in./96 mm Dual Mount Kirkwood Pull. With its classic design and rich Bronze with Copper Highlights finish, this knob is sure to be enjoyed for years. The Liberty Kirkwood Pull features 3 in. or 96 mm center-to-center rear mounting. 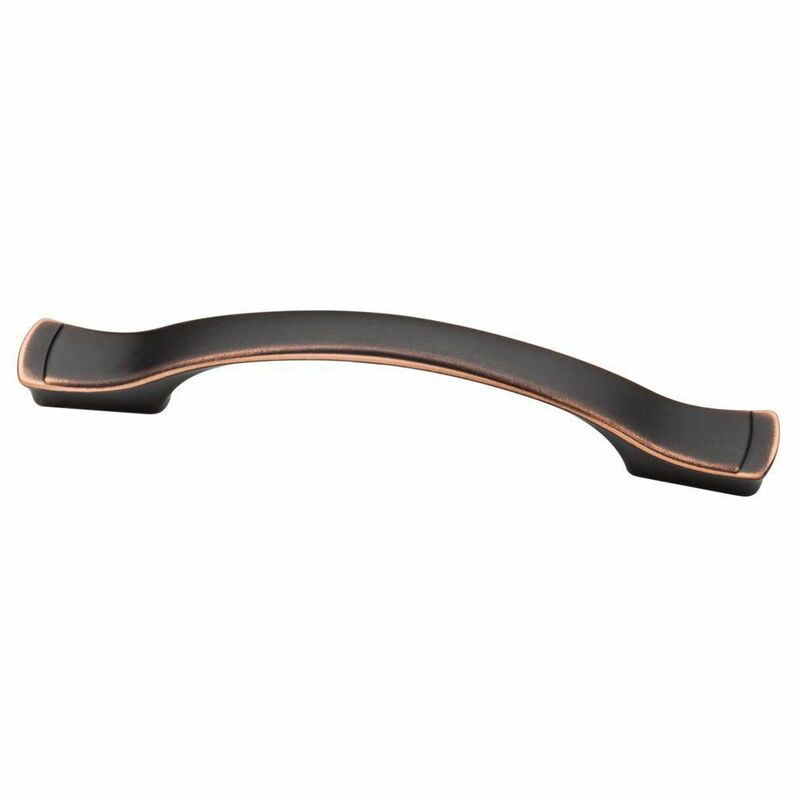 The Arched Pull features a sleek linear curvature to add a soft contemporary look to any room in your home. Perfect for modern cabinetry and furniture, crafted from high-quality zinc die-cast for long lasting quality and durability. Mounting hardware is included for easy installation. 4 in. or 4 3/4 in. Dual Mount Step Edge Pull From Liberty Hardware, the Notched Pull adds a sleek pinstripe detail to a soft casual design that will provide a relaxed modern style to cabinetry or furniture. Crafted from die-cast zinc for long lasting quality and durability. Installation hardware is included and multiple finishes are available. 4 in. or 4 3/4 in. Dual Mount Step Edge Pull is rated 4.7 out of 5 by 35. Rated 5 out of 5 by James from Beautiful look. Just wish it would come in solid... Beautiful look. Just wish it would come in solid black. Rated 4 out of 5 by Teebone from Nice drawer pulls! Easy install looks great!... Nice drawer pulls! Easy install looks great! Rated 5 out of 5 by cc from This Drawer pull fit into my existing cabinet hole with no problem, This unit look good on our dr... This Drawer pull fit into my existing cabinet hole with no problem, This unit look good on our dresser to replace the broken handle. Rated 5 out of 5 by Ruth from Very nice. Used templates to mark the holes to drill.... Very nice. Used templates to mark the holes to drill.